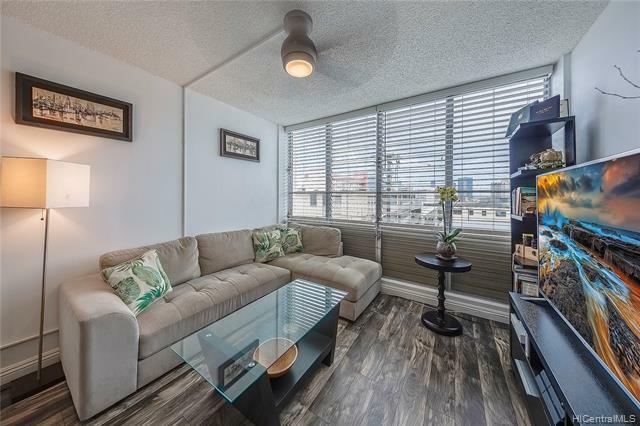 Private end unit with elevator or EZ fire exit access from covered parking stall to condo. 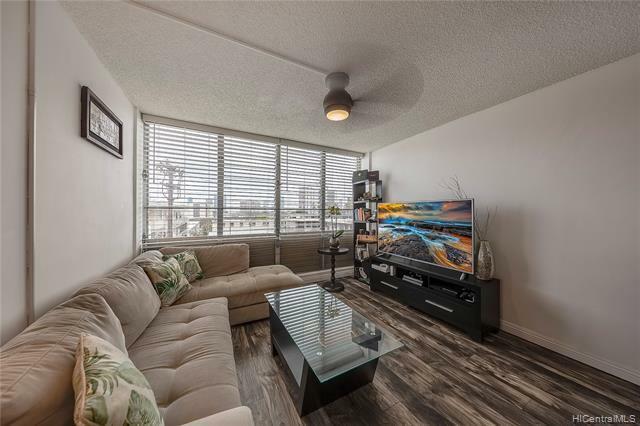 Floor to ceiling jaloucies in living area and bedroom, excellent cross ventilation - trade winds makes this condo so pleasant to be in. 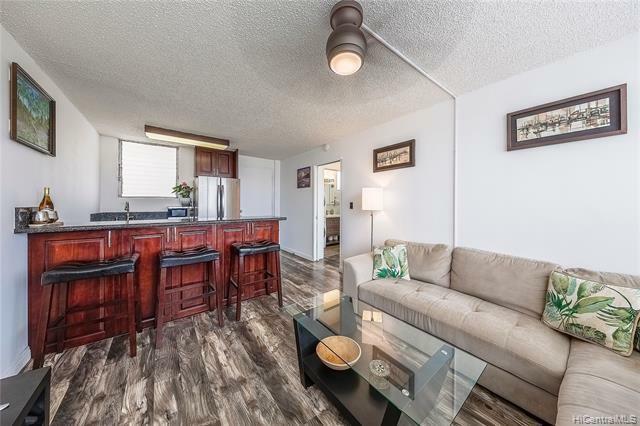 Renovated with beautiful cabinetry, granite and solid surface counter tops, chic flooring, stainless steel appliances, and stack washer / dryer. Views from living area to city, and skies of different hues throughout the day and night. A dream condo to spend your time at home in. 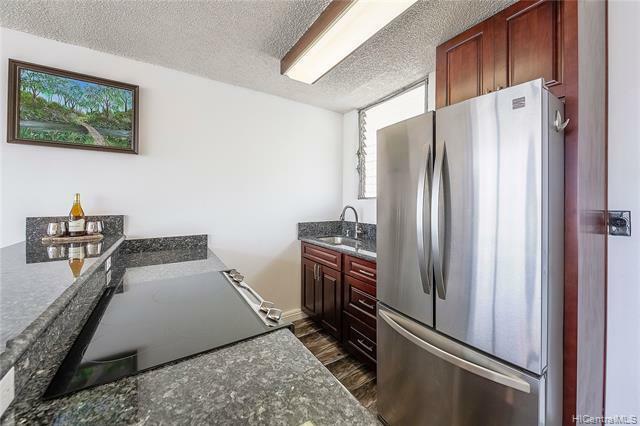 Maintenance Fees under $500/mo., Amenities include pool, BBQ, Exercise room, and some shops on the ground floor, on busline, near freeway access and largest Safeway Beretania, post office, and banking all nearby. Showing to serious and qualified buyers only please with 1 day notice. Listings provided courtesy of Mokulani Properties, inc.